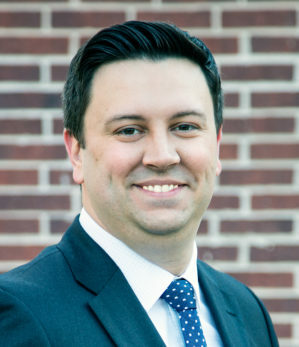 Jason Wietholter – CEO. Entrepreneur. Consultant. CEO. Entrepreneur. Consultant. JD Candidate. Jason’s litigation experience and expertise afford him unique insights into the problems and solutions facing litigators, their trial teams, and the vendors who support them. The American Guild of Court Videographers helps to certify legal videographers according to the Federal Rules and industry best practices to capture and present testimony and evidence in litigation. The LitPro Academy serves as an online training platform for litigation technology providers to increase their repertoire of skills and grow their businesses. The LitPro Forum fosters community between legal videographers, trial technicians, and other members of the litigation field by providing a forum to exchange ideas and information about the industry. Patent litigation involving data acceleration resulting in a plaintiff's verdict of $4.3M. Manslaughter trial in which the officer was acquitted of manslaughter charges. A civil rights case involving the unlawful use of force resulting in a plaintiff's verdict including punitive damages. Patent litigation involving cell phone data transmission resulting in a plaintiff's verdict of $7.3M. Patent litigation involving cell phone user interfaces resulting in a plaintiff's verdict of $3.5M. Divorce case involving an estimate $18B+ assets. 3 months of trial time. Securities investigation involving a public offering where our client was acquitted. Patent litigation involving internet encryption resulting in a plaintiff's verdict of $2.3M. Wrongful death claim against our client who was found not guilty. Wine fraud litigation resulting in a plaintiffs verdict of $250K actual damages, treble damages and $12M punitive damages. Criminal case involving 100+ counts including fraud and bribery resulting in acquittal of our client. Civil rights litigation involving religious freedoms. Plaintiffs verdict that was heard and upheld by the US Supreme Court. Breach of contract and tax benefits litigation resulting in a plaintiff's verdict in the amount of $120M+. Environmental litigation involving chicken growing operations in Oklahoma and Arkansas with 4+ months of trial time. Address 401 S. Boston Ave.